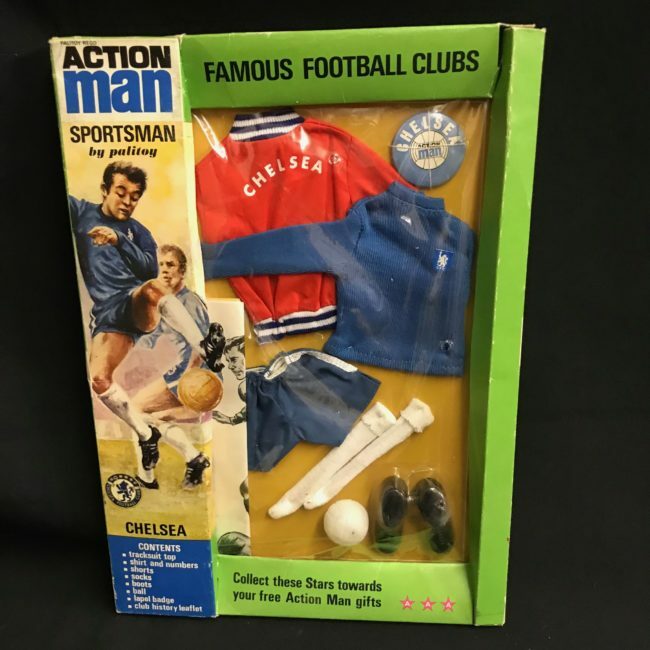 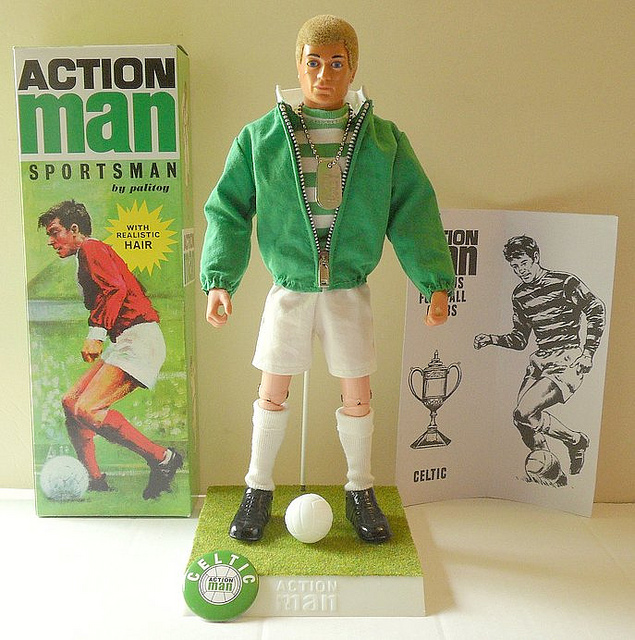 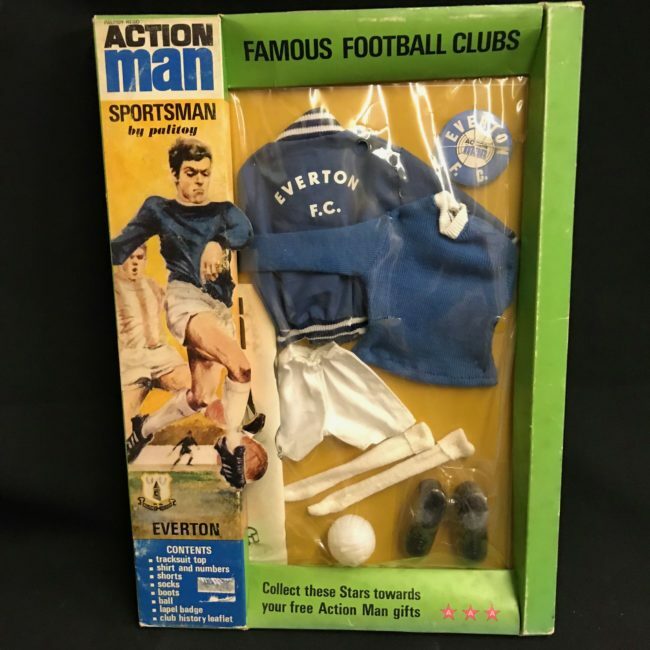 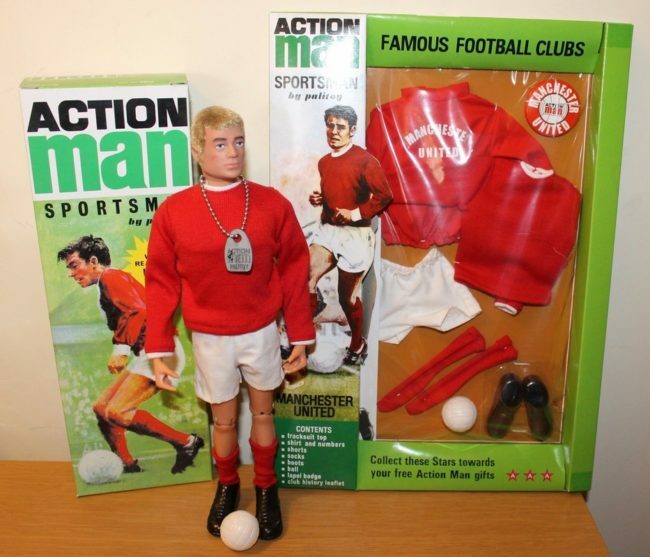 After spending a decade or so on the front line of active service, Action Man left the army in the mid-1970s to pursue his real dream: playing football for Celtic… and Tottenham, and Everton, and Manchester United and Liverpool and Chelsea, etc, etc. 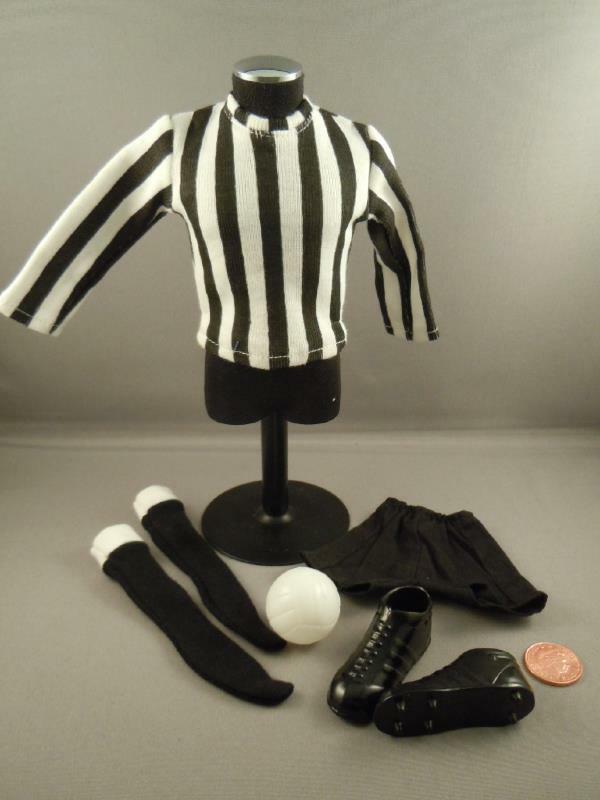 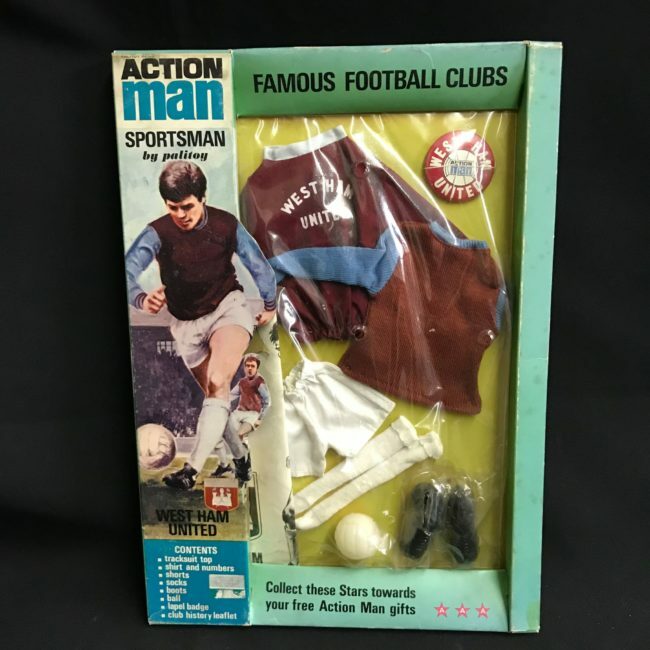 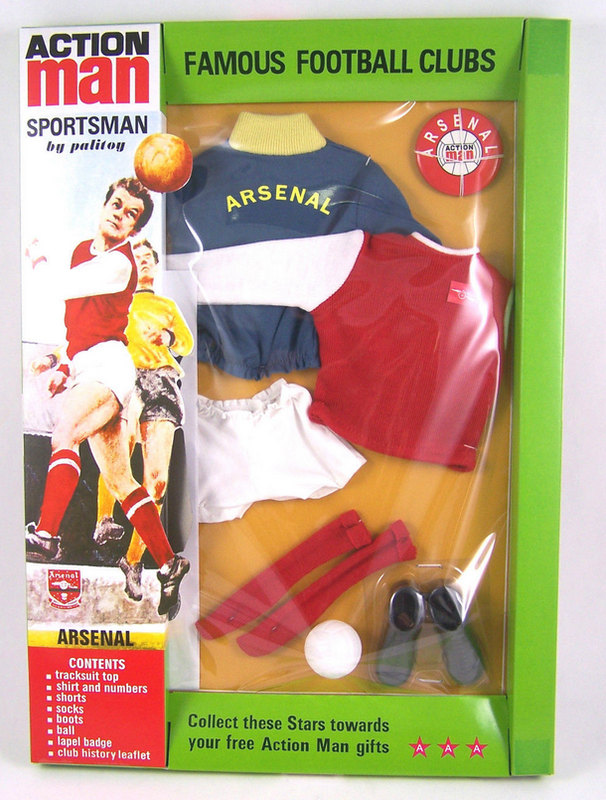 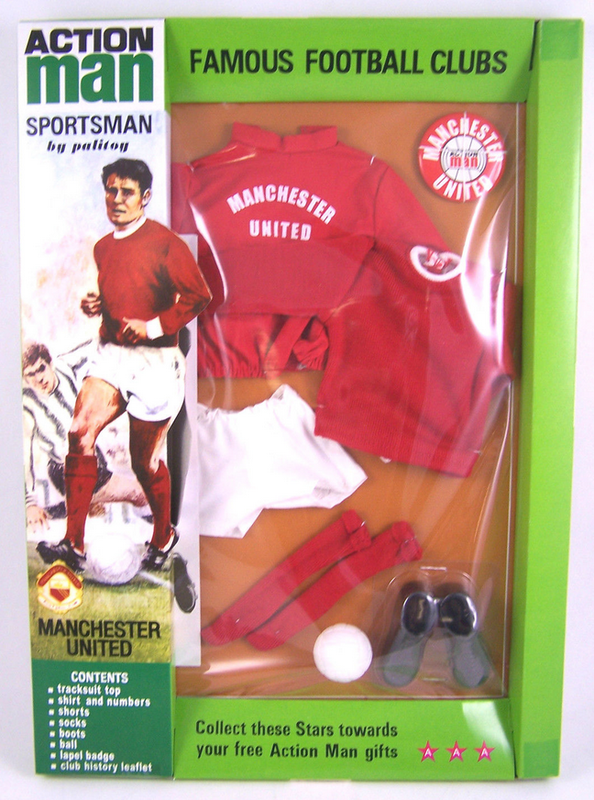 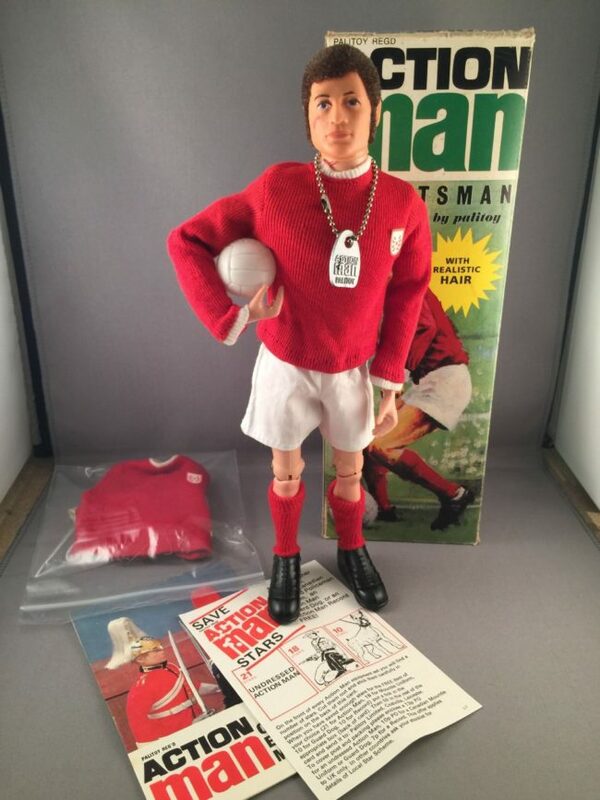 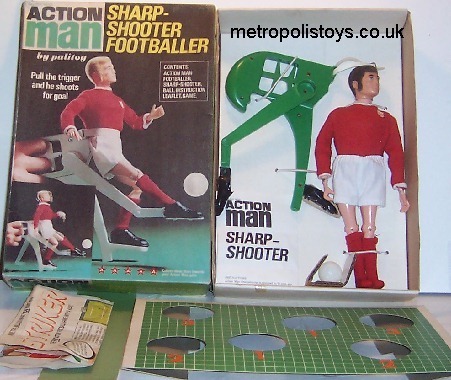 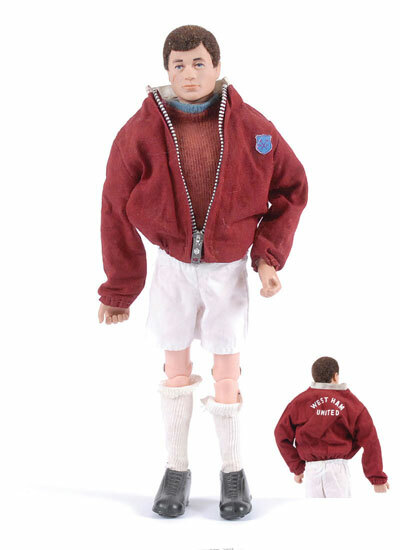 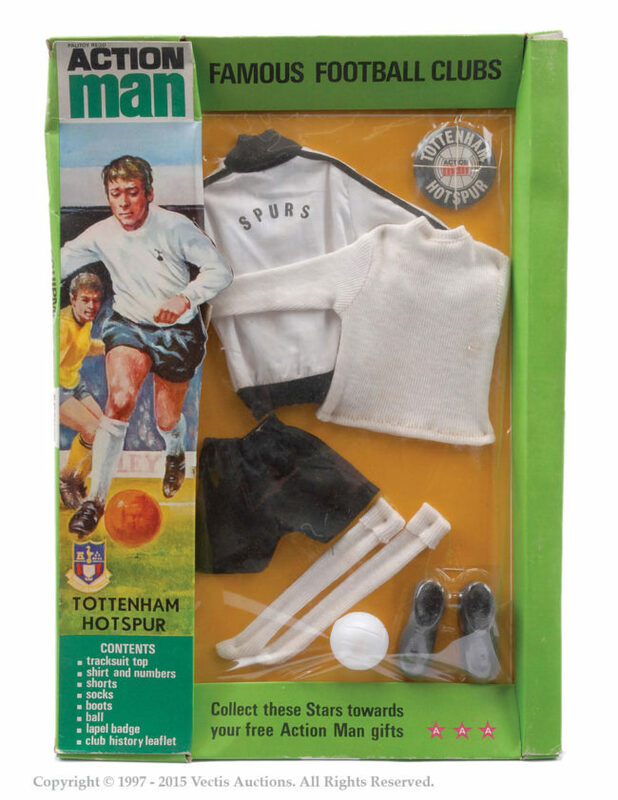 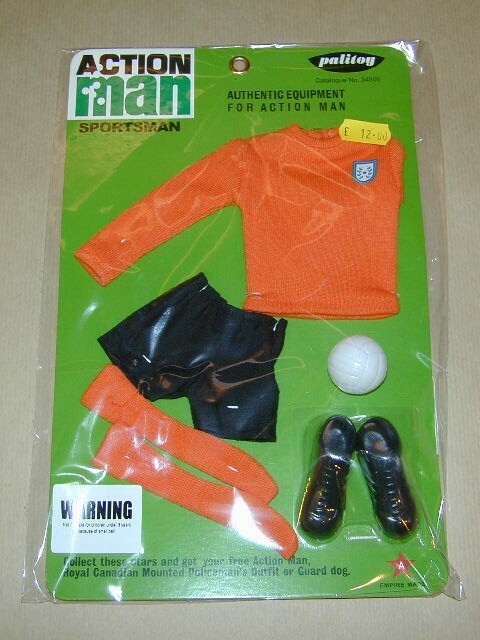 To tap into the non-military market, Palitoy created a unique line of ‘Sportsman’ figures with the fully-articulated football version coming complete with full kit, warm-up bomber jacket (with action zip! 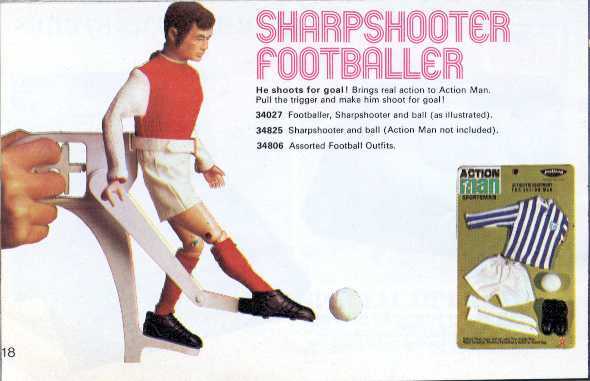 ), boots, a ball, dog-tags, “realistic hair” and era-appropriate sideburns. 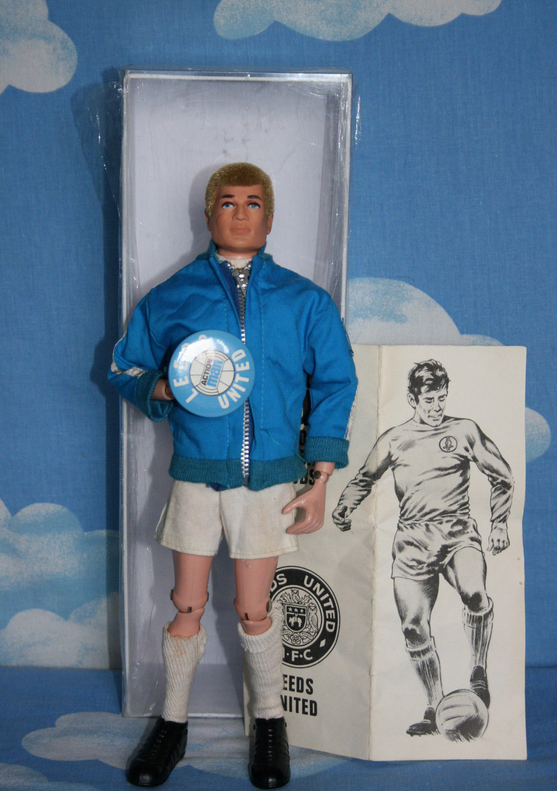 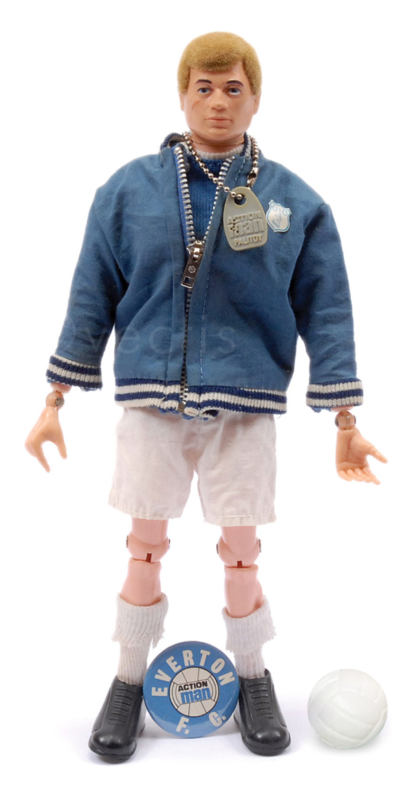 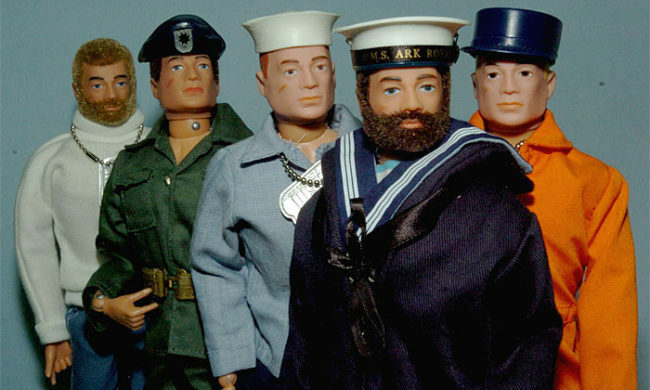 Here’s the fully-gussied Leeds United action man.